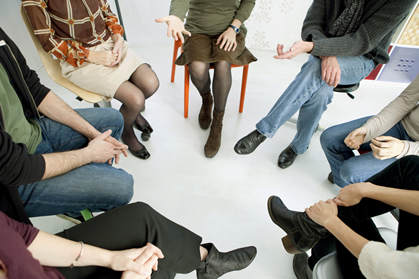 Group therapy is highly cost-effective, costing £30 per person for two hours, including light refreshments. Meeting times are agreed by the group, usually between 6pm and 8pm, one evening a week or every two weeks. Minimum group size is 4 people, maximum is 8. If you would like to discuss the possibility of joining or forming a group, please contact me.